I look forward to tomato sandwich season like kids look forward to Christmas. Each summer evening, as I water my little garden, I inspect the tomato plants and wait and watch until it's time to pluck the first perfectly ripe heirloom tomato from the vine. Then I head inside and start making the very first tomato sandwich of summer. 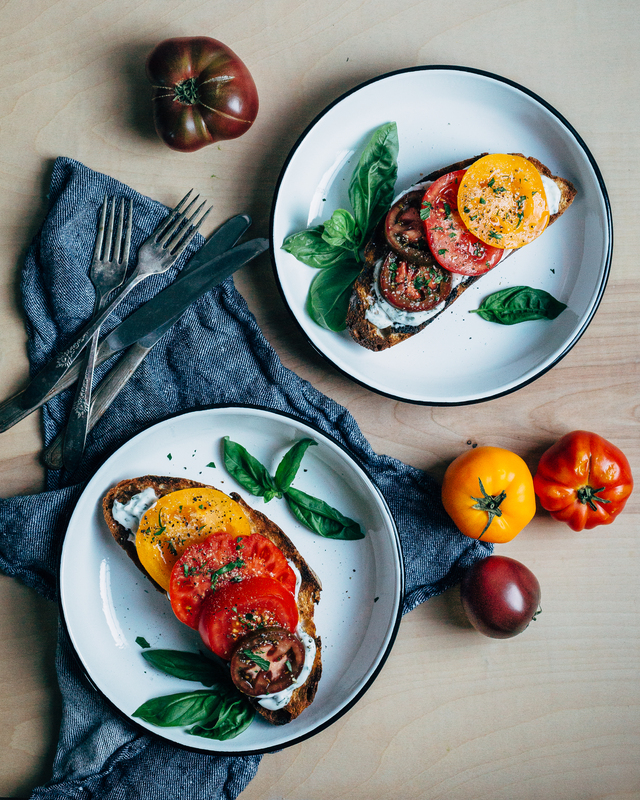 A great tomato sandwich is a simple feast, one of those magical combinations that's so much more than the sum of its parts. At its most basic, you just need ripe tomatoes, good bread, a smear of mayo, and a little salt and pepper. 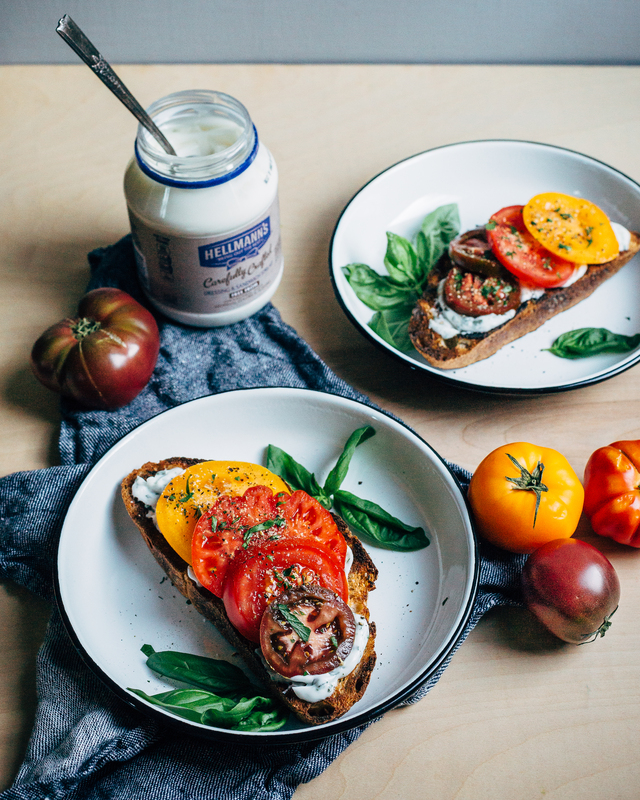 Recently though, I've grown fond of an elevated version of the summer staple – one that brings together a colorful array of sliced heirlooms and thick­cut grilled sourdough slathered in a simple herbed spread made with Hellman's Carefully Crafted Dressing, a bright and tangy egg­free alternative to traditional mayo. This lively herbed spread is made by stirring parsley, basil, dill, and garlic into Hellman’s Carefully Crafted Dressing & Sandwich Spread. 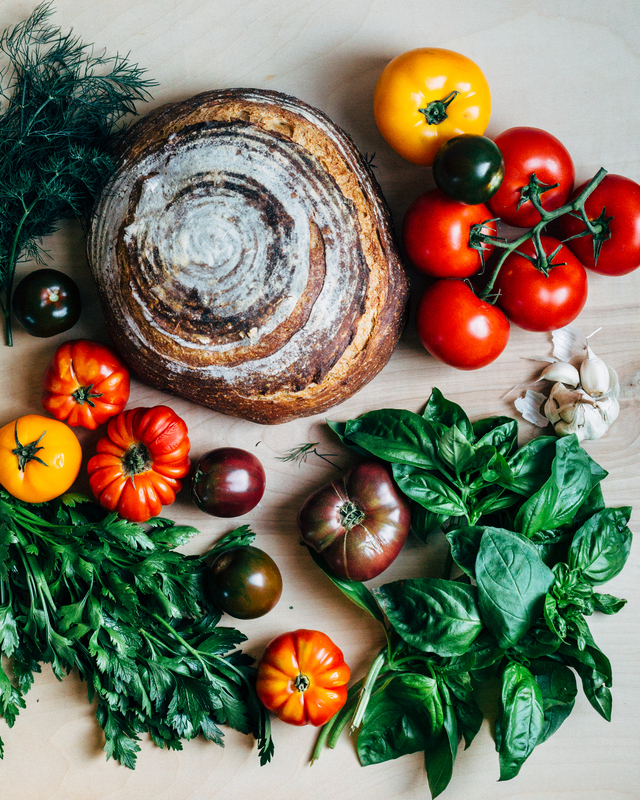 Topped off with flaky sea salt, freshly ground black pepper, and a small pinch of minced herbs, it’s a summer sandwich you'll look forward to all year long. 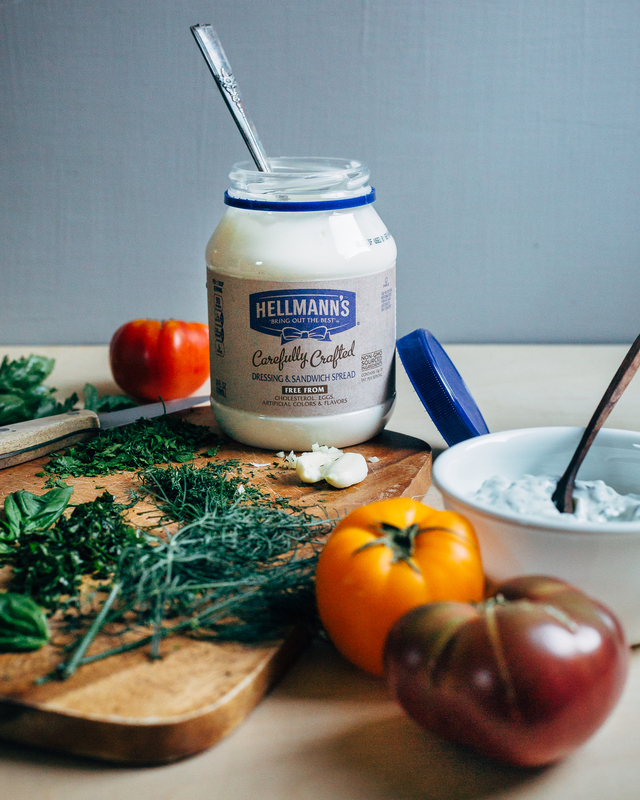 Working ahead of time, stir to combine Hellmann's Carefully Crafted dressing, herbs, and garlic in a small bowl. Cover and refrigerate 1 -2 hours or overnight. To make tartines, spread 1 -2 tablespoons herbed dressing on each slice of grilled bread. Add a layer of sliced tomatoes, sprinkle with a pinch each sea salt and pepper, and finish with a pinch of minced herbs. Serve right away.